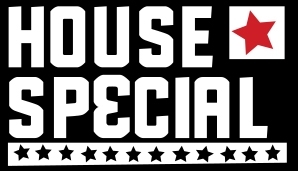 Animated content production studio HouseSpecial (formerly LAIKA/house) President Lourri Hammack announced a new partnership with Kevin Batten, founder of Pop-Arts Management (http://wearepoparts.com), for West Coast representation. Mr. Batten has a rich understanding of animation and advertising. He is one of the original founders of Digital Kitchen, the pioneering digital shop that opened in Seattle in 1995 and helped pave the way for the digital revolution in advertising. Following Digital Kitchen, Mr. Batten was a producer for agencies Deutsch LA, Wieden + Kennedy, DDB and Wong Doody until joining noted design and animation studio Brand New School as Executive Producer. In 2005, he joined Los Angeles-based Superfad as Managing Partner. His project highlights include Target’s Art Connects, a series of beautifully animated films now in the permanent collection of MoMA New York and Durex’s award-winning Get It On viral commercial featuring three energetic condom balloon animals. Before forming his own firm, Mr. Batten served as Managing Director of creative studio Logan and its production arm Logan & Sons. He oversaw staff, operations and business development and worked on commercials and integrated campaigns for Apple, Nike and EA, and entertainment projects including Spiderman and Miley Cyrus’ Bangerz Tour.